Stuart Semple, known for Black 2.0 (the blackest paint available for sale) introduced a new product. 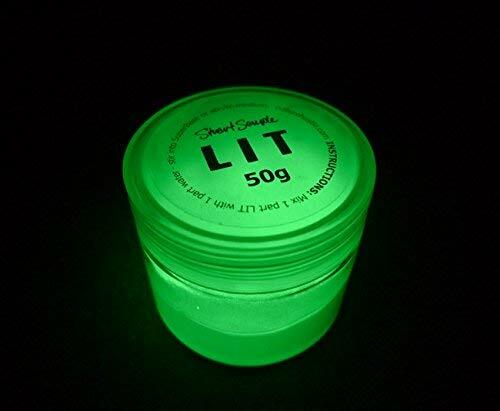 This is the most potent, brightest, glowiest glow powder called LIT. Mixed with a base acrylic this powder needs very little charging to emit a bright light. It’s so potent you can see it shine even in ambient light. The afterglow should remain for up to twelve hours. Next to casting a light on the pigment you can also charge it with heat which makes for awesome effects you can achieve. It’s best to let the LIT product video do the talking here. We’re curious how artists will be using this paint. Good to know that good old Vantablack crook Anish Kapoor is able to get LIT for free from the generous people at Culture Hustle. 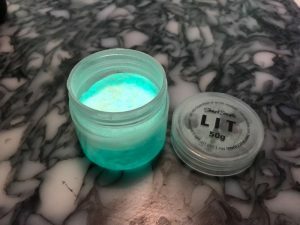 Where can I get LIT, the glowiest glow powder? You can get LIT on the official Culture Hustle website or on Amazon.com. They’re normally short on stock on this stuff so when it’s available decide fast! The most powerful light emitting pigment on the planet! Will glow as bright as the light you use to charge it!